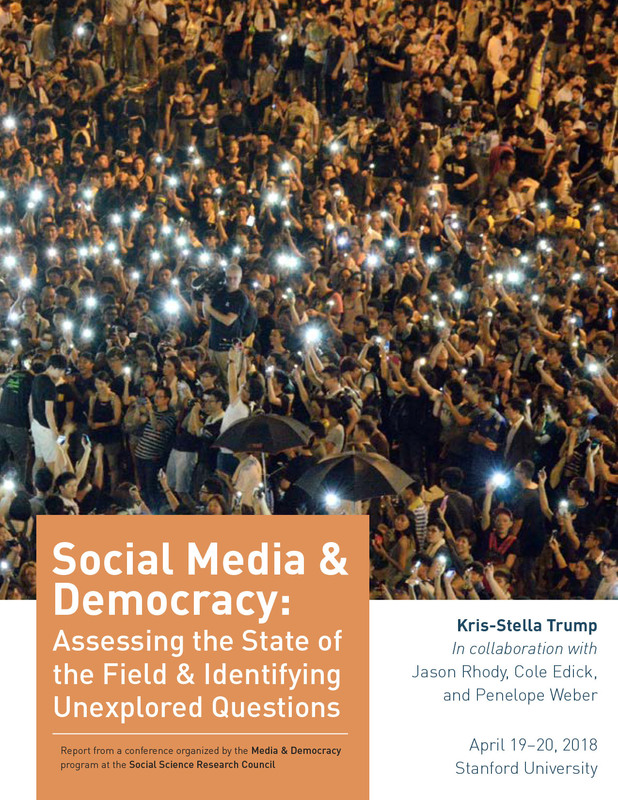 The Media & Democracy program hosts research workshops and conferences to generate and enhance research and analysis at the intersection of media, technology, and democracy. Whether convening large, agenda-setting conferences with leading scholars or small meetings with younger scholars to develop papers and research projects, Media & Democracy is at the forefront of creating an interdisciplinary scholarly community. The Media & Democracy program is generously supported by the John S. and James L. Knight Foundation; the William and Flora Hewlett Foundation; the Democracy Fund; the Ford Foundation; the S. D. Bechtel, Jr. Foundation; the Rita Allen Foundation; and Reid Hoffman.